CEDAR PARK — First impressions can make all the difference. And, in some cases, the cliché rings true — first impressions are the only impressions. That was the message to free agent invitees during the first day of Texas Stars training camp Tuesday at Cedar Park Center. Colton Beck, Brandon Magee, Taylor Stefishen, Cole Martin, Anrew Panzarella, Mads Eller, and Jake Rutt are amongst the group on a tryout basis in camp. Cam Braes and Zack Kamrass are in similar situations, even with AHL contracts, since depth signals they could be headed to the ECHL. There was more space to make a first impression Tuesday. 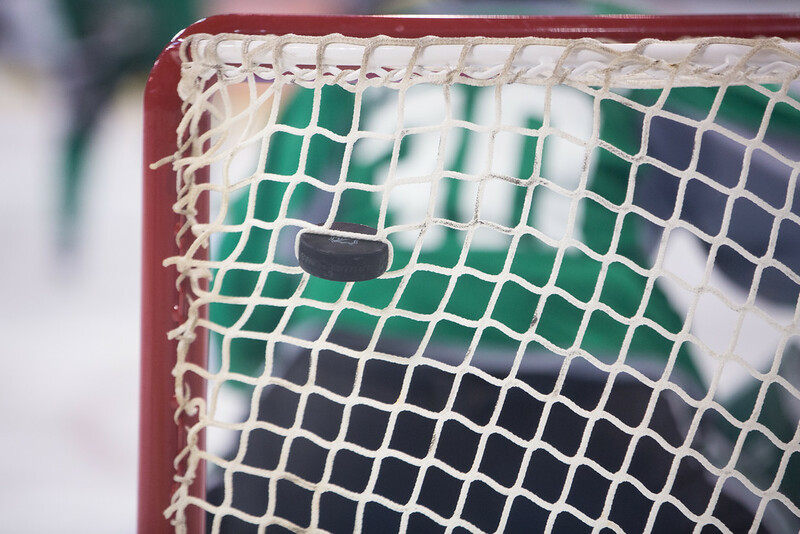 A handful of players that were recently sent to Texas from the Dallas Stars were given the day off after a “hectic schedule” the past two weeks. Laxdal also said it’s important to see fringe players in game situations to properly judge their ability. That opportunity will present itself in a scrimmage tomorrow, while Laxdal said some of the free agent invites will play in one of the two preseason games this weekend against the San Antonio Rampage. While Laxdal will be using the preseason game to scout organizational depth, Idaho Steelheads coach Neil Graham is looking at the groundwork for his team. You can read the full story in the Austin American-Statesman. 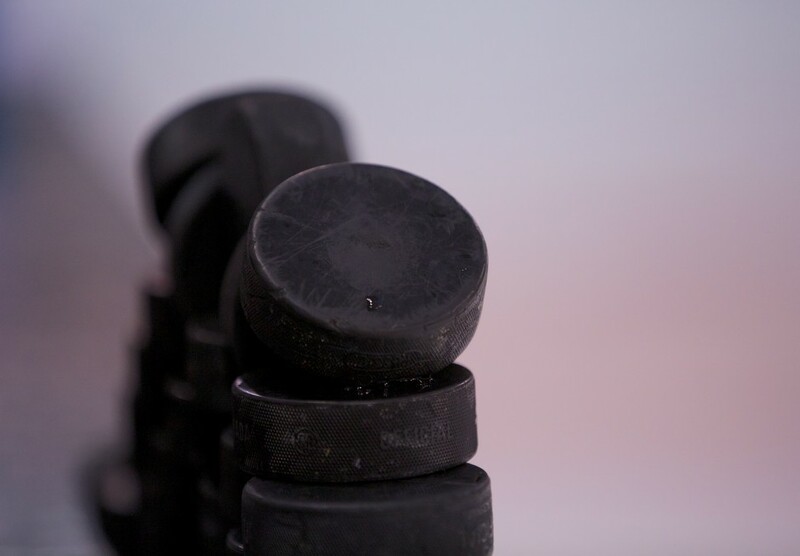 CEDAR PARK — Thanks to an influx of young defensemen, someone is going to be disappointed when the Dallas Stars open the season in fewer than three weeks. A dozen defensemen have legitimate aspirations to make the NHL club, and the competition started Friday morning when Dallas’ training camp opened at Cedar Park Center. While no one is promised a roster spot, Alex Goligoski, Johnny Oduya, John Klingberg, Patrik Nemeth and Jason Demers appear to be locks for the NHL team. That leaves Jyrki Jokipakka, Julius Honka, Esa Lindell, Jamie Oleksiak, Stephen Johns, Jordie Benn and Mattias Backman jockeying for the final two or three spots on the roster. 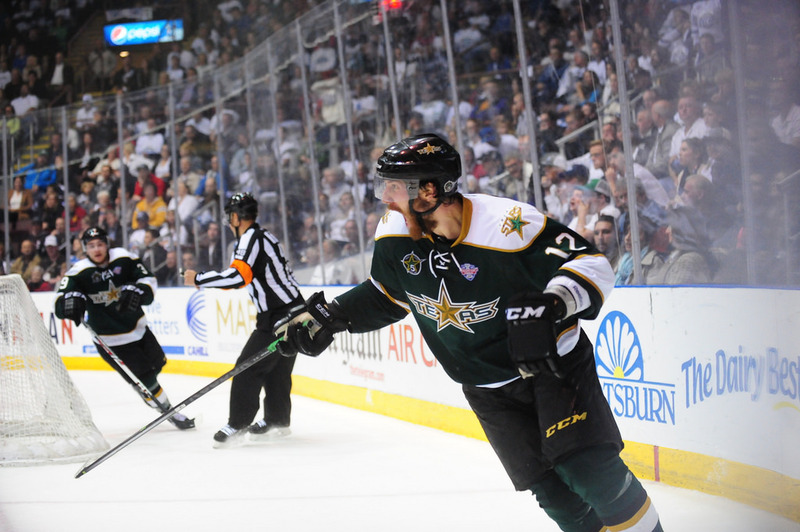 Stephen Johns against the Texas Stars in the Calder Cup playoffs. 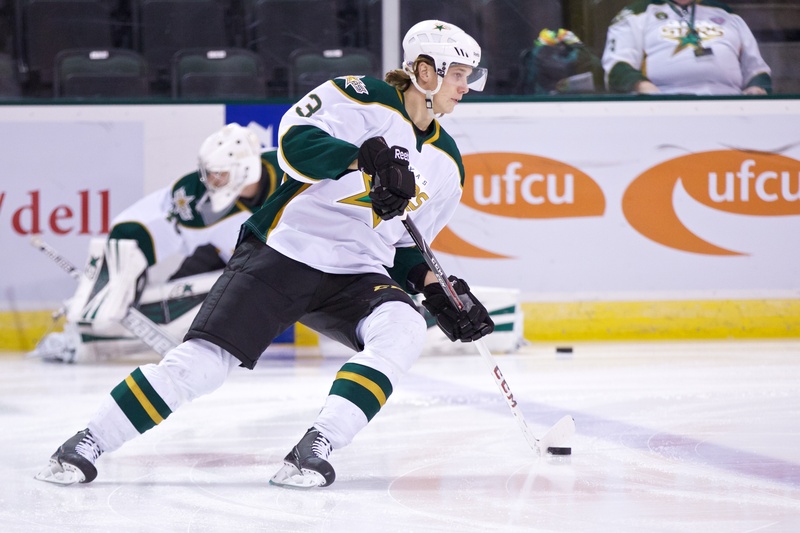 (Photo by Christina Shapiro/Texas Stars). Yes, Patrick Sharp was the headliner. But, Stephen Johns was the long-term prize in the Dallas Stars four-player trade with the Chicago Blackhawks on Saturday night. Of the four-players in the deal, three have plateaud or are on the decline in their careers. Ryan Garbutt, a 29-year-old forward, brings a pesky spark to the Blackhawks. But he also brings a resumé filled with bad penalties, and questionable decisions. Trevor Daley may thrive in Chicago. Perhaps, with players like Duncan Keith and Brent Seabrook as defensive anchors, the 31-year-old’s run-and-gun style won’t result in negative #fancystats that hindered Daley in the eye of the advanced analytics community. But, that wasn’t going to happen in Dallas. And Sharp, while he’ll provide a spark on the Stars power play, is a depreciating asset. At 33, his point totals and skills are declining, and his $5.9 million contract is a bit high for a 33-year-old. On the other hand, Johns is an asset on the rise. While prospects are admittedly hit-or-miss (think Scott Glennie with Dallas), Johns has all indications of being a future NHL defenseman. 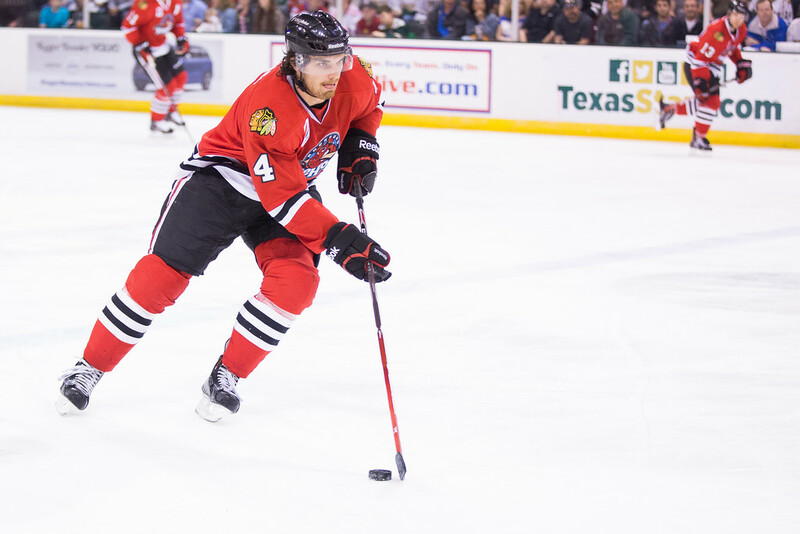 After a four-year career at Notre Dame he joined the Rockford IceHogs late in the 2013-14 season, and dazzled as a rookie during the 2014-15 campaign. In 67 combined regular season and playoff games with Rockford the 23-year-old had 33 points (eight goals, 25 assists) and posted an eye-popping plus-36 (sorry, plus/minus is the closest thing we get to #fancystats in the AHL). He also refined his game during that 13-month span. When he finished his collegiate career, discipline had been a concern. In 162 games at Notre Dame he accumulated 300 penalty minutes. Without the help of fighting majors in the NCAA’s fisticuff-free arenas. But in his first year in Rockford, he registered 44 penalty minutes. If you take away the 20 minutes on four fighting majors, he averaged one minor penalty every four games. He also quickly rose up the IceHogs defensive depth, out of necessity, and thrived. Throughout the season, Chicago unloaded T.J. Brennan, Adam Clendening, and Klas Dahlbech via trade. The Blackhawks also had Kyle Cumiskey watch an inordinate amount of games from the United Center press box, hampering their AHL affiliate. Johns stepped into that void and became Rockford’s best blue liner. In the playoffs, when all four of those aforementioned players were gone, Johns was Rockford’s best player. In eight playoff games — including a three-game sweep against Texas in the first-round — he scored three times, dished out four assists, and was plus-four. It’s fair to say he had earned a shot and likely would have played for Chicago in the NHL at some point this coming season. After the trade he adds to a stacked young defensive cupboard, and likely becomes the first call-up from Texas in case of an injury. Dallas general manager Jim Nill has said that Esa Lindell, Mattias Backman, and Julius Honka are ready to play in the NHL — and I agree with that statement, to a degree. Lindell and Backman need a little bit of North American seasoning in the AHL, while at 19-years-old it may be best to let Honka age a bit with Texas. But if Dallas had a freak injury in training camp and needed to call-up a player for opening night (Oct. 8 against the Pittsburgh Penguins), Johns would be making his NHL debut in victory green. 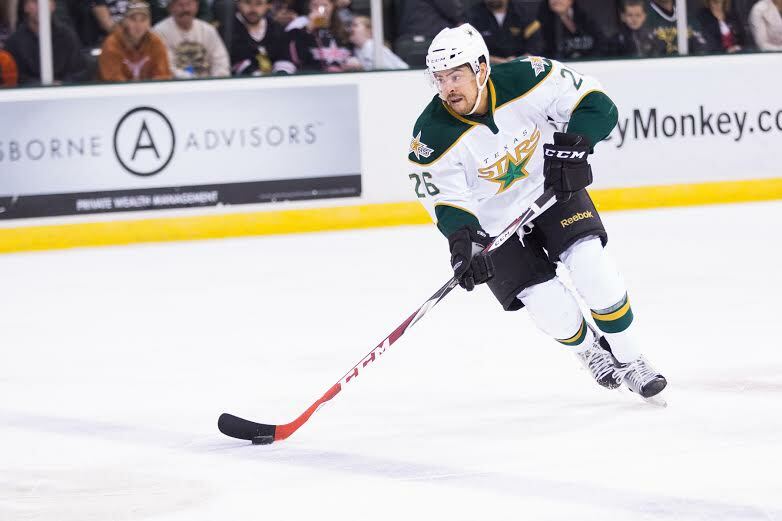 After signing five players Tuesday, including two offensive-minded defensemen, the Texas Stars are now in a holding pattern during free agency. That leaves Texas with a very young defensive core for next season. Three of Texas’ projected defensemen will be 21 or younger on opening night. The group’s average age is 22 years, four months, with today’s signings — Matt Mangene and Jesse Blacker — bringing up the average. Mangene will be the eldest member of the group at 26, while Blacker will be the games-played leader with 235 career AHL games. Blacker also made his NHL debut last season with Anaheim, but couldn’t find an NHL contract this summer in free agency. Texas got a first-hand look at Blacker last season after he was traded from the Anaheim Ducks to the Florida Panthers in exchange for Colby Robak. In 40 games with San Antonio he had 18 points (six goals, 12 assists) and impressed White with his ability to move the puck and push the play. Mangene provides a similar set of skills. Mangene had 17 points in 36 games with Texas last season. He also showed he could quarterback the power play and stepped in at forward when Texas was hampered by injuries. In the current holding pattern, Texas’ defense consists of Julius Honka, Esa Lindell, Ludwig Bystrom, Mattias Backman, Mangene, and Blacker.